Smartphone has been an important part in our daily and we do a lot of tasks with it. However, it's also easy to get broken or damaged due to unexpected activities. So data recovery has always been a critical subject for every smartphone users since it is not as easy as it sounds. Especially, if we are talking about recovering data from broken Android phones. It is painful enough that your device is broken but if you could get back the data that have been stored on your device then it will be at least cherry on top of a cake. In this guide, we will demonstrate couple of methods that will help you to recover as much data as it can. 100% data recovery is not guaranteed since it really depends on how badly the phone was damaged. But even if the phone is beyond recovery then also it is possible to restore a fair amount of data from Android phone. So let's hop in and see if we can recover data from broken phone. 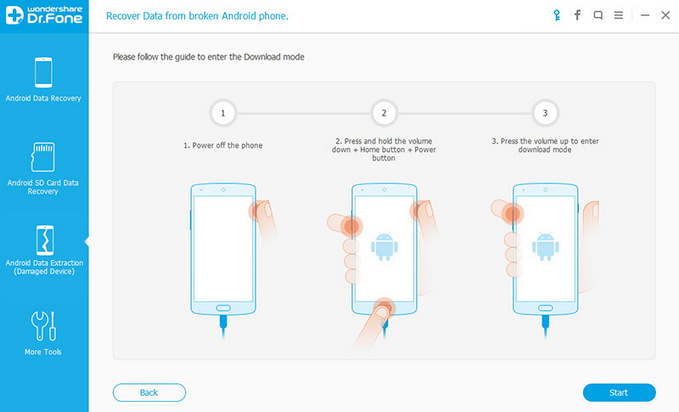 Step 1: Carefully, attach your USB data cable with your Android Smartphone and connect it to your PC. 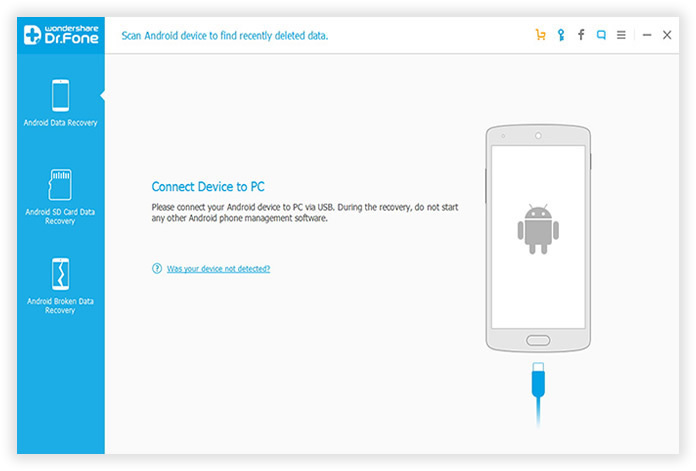 Step 2 : Wait until your PC installs necessary drivers and show your smartphone as a new driver. Step 3 : Open My Computer and find the name of your Android smartphone. Step 4 : Double click on your smartphone name and here you can find all the multimedia files and documents are stored in your internal and external memory. Step 5 : Select all the items that you want to restore and copy them. Now go to your computer driver and paste the file in your desired location. However, this method can only recover multimedia and documents files. Text messages, contacts, notes, call logs, can't be retrieved using this method. Now, if your smartphone has some important contacts, text messages, notes, calendars, call logs saved that you do not want to lose then you must use third party software like Android Data Extraction, which is specially designed to recover data from broken, water damaged, frozen and dead Android smartphones. This program guarantees the highest level of success rate in the industry. In addition, you can not only recover multimedia files but also you can recover contacts, text messages, notes and other private data from your Android smartphone. It can be a real life savior program and it can really rescue you from your embarrassing situation. It is available on Mac and Windows and works with over 600+ smartphones models. 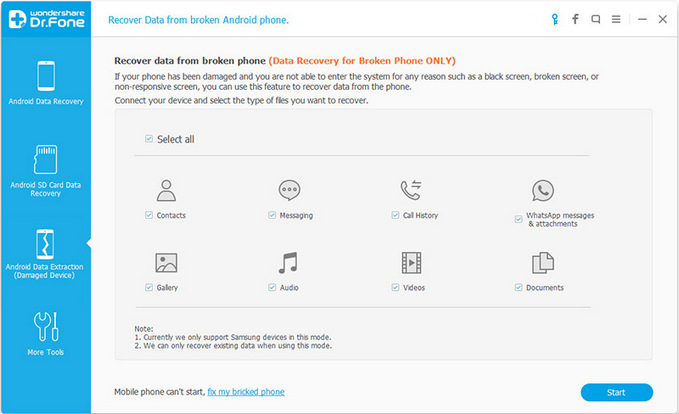 Let's see how to use this program to recover data from your damaged Android smartphone. First, download the trial version of this program and simply install it by completing the setup wizard. Next, run the tool on your laptop or PC to see its main features and connect your damaged smartphone with PC using a USB data cable. 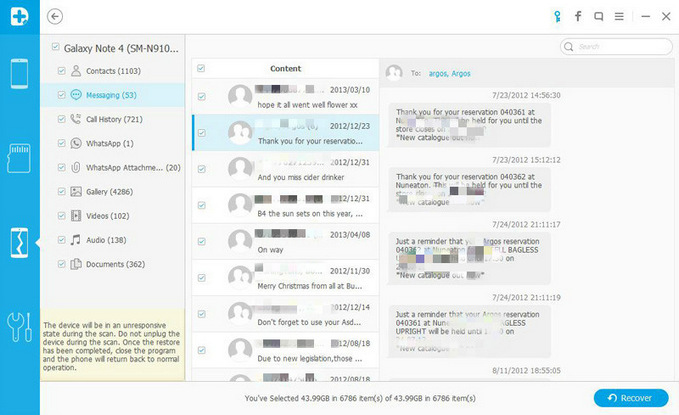 This software gives you the ability to particularly select what kind of data you wish to recover such as messages, contacts, music, videos, documents, etc. and on the next page, you will have to choose what kind of fault you are facing with your smartphone. In this case, select black/broken screen. On the next window, the program will ask you to enter your smartphone information, simply put your device name and model and hit next. At this point, the software will want to download the required recovery package in order to restore the files stored on your smartphone. Simply, reboot your Android phone by pressing Home, Volume down and Power buttons together so that it can boot into download mode and wait for the software to download the necessary recovery package. This may take a while and make sure to have a stable internet connection. After downloading, the software will analyze your whole smartphone and show all the files and folders that can be recovered. Simply select all the files from the software interface and click on "Recover" from the bottom of the program and save them to your PC. Water damaged or broken phones may not be repaired according to their conditions but the data within it can be certainly recovered using Android Data Extraction software. It is recommended to use this program immediately after your phone is damaged so that the files don't automatically starts removing itself from your smartphone. Please remember, the trial version only let you preview the lost data on your phone but if you want to recover them then you should go ahead and pay a small fee to enjoy the full benefits of this program.